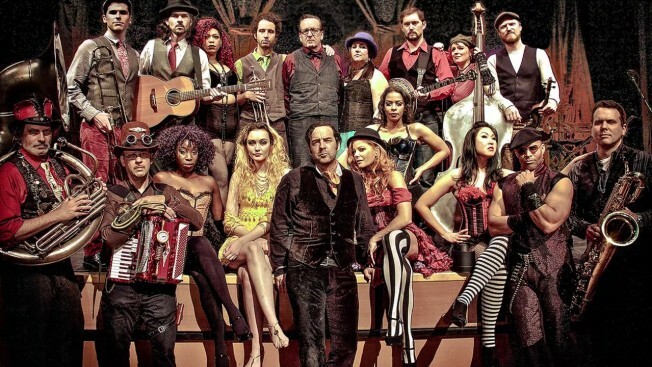 Vaud and the Villains stage a Belly Up takeover Friday. It's Friday and San Diego has some awesome music offerings to get you in your groove. At the Belly Up, the traveling carnival/revival is back in town as the large ensemble of Vaud and the Villains take the stage. At Casbah, Taken By Canadians celebrate an album release, San Diego punk legends Zeros play at Soda Bar, and don't count out Santa Ana Knights at Tower Bar featuring everyone's favorite punk, Davey Quinn. It's going to be a killer weekend, so don't forget those ear plugs and check out some live music.